Your dream dress awaits you, Jeannelle l’Amour Bridal is renowned for creating luxe, fashion-forward bridal collections for the modish trendsetter. Designed and hand-made in South Africa. 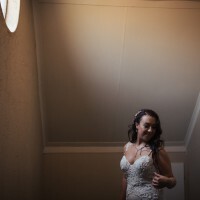 This was my absolute dream wedding dress – I loved every bit of it and truly wish I could wear it again! I felt so beautiful in it and I am still being complimented on it weeks later. The funny thing is I am not the slimest girl in the world so when I saw this dress it was a case of "let me just give it a go" and I was pleasantly surprised at how beautiful it made me feel and how flattering it was to ALL my curves. 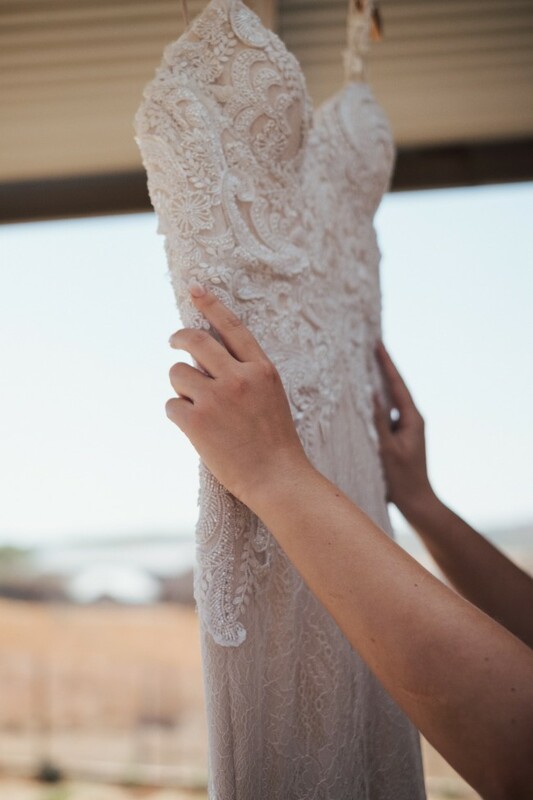 The dress has exquisite lace and fine beading details throughoout the entire dress, the color is ivory/off white. The dress is so romantic and dreamy and might I add so unique thats what I loved about the dress. The dress has been professionally dry cleaned and looks brand new. The dress is a size 12 C/D cup, I am a size 12 normally and it fit me perfectly, the great news is the corset back of the dress has the leniency to fit a size 10/14 dependant on the size of your hips. I am 164 cm in height and the length of the dress was perfect with a heel. I had a loop added to the train of my dress to make it easier to dance in without having to hold the dress it just looped onto one of my fingers and I also had some lace and bead detail added on to the straps of the dress which can easily be reversed by a seamstress if you wish. The dress had a zip at the back which closed up the back , I got the corset back put in because I preferred the look of the corset back as it shows some more of your back. The corset back also has a romantic feel due to the shape it creates. The dress also comes with a dress bag. If you have any questions please don’t hesitate to ask. Willing to negotiate price offers. I had a loop added at the end of the train and some lace and beading added to the spaghetti straps. Few weeks before the wedding I had to get the sides near my breasts tucked in a bit. I had the corset back put in to show more of my back area. All alterations can be easily reversed.